After over 5 years living and discovering the corners of Munich, it was about time I created a real guide for the city I chose to be my home. 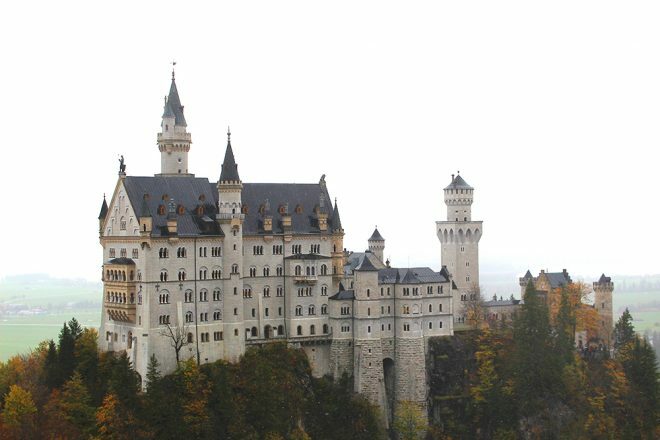 Since I started the blog in April 2014, I have been sharing a lot about living in Germany and Munich, I’ve touched upon different aspects, including cultural, entertainment, gastronomic, romantic, practical and more. 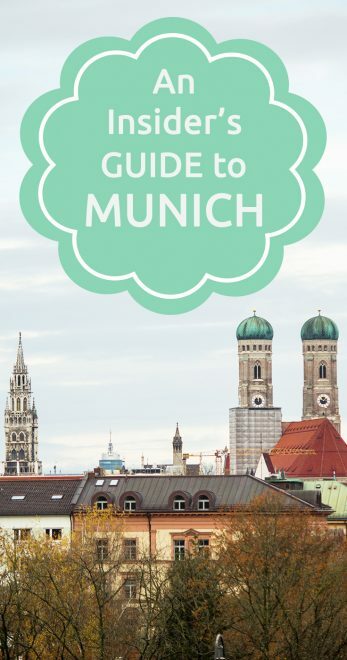 Now I’ve put together a bit of everything into one place, just to make life easier for everyone, an insider’s guide to Munich. All information you will find here are based on my experience of both living in Munich and of showing the city to family, and friends throughout the years. From things to do, where to eat, drink and shop, public transportation, to events, I hope they will help you plan and have a wonderful time in the capital of Bavaria. 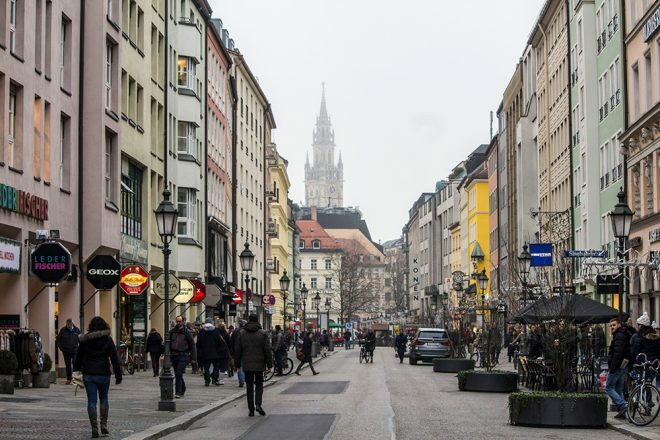 A visit to Munich must include the Marienplatz and a stroll around the old town. 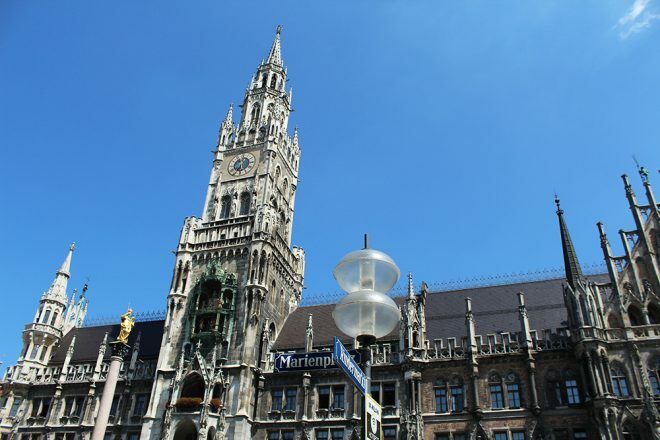 At Marienplatz you will find the new and old City Halls (Rathaus), the glockenspiel, the dancing clock of the new city hall’s tower, cafes and stores. A few steps away you will find the Viktualienmarkt, the city’s open air market, with local and international products. Take the time to discover the pretty streets and squares of this part of the city. Tip: The glockenspiel normally plays everyday at 11am and 12am., and between March and October it is additionally played at 5pm. 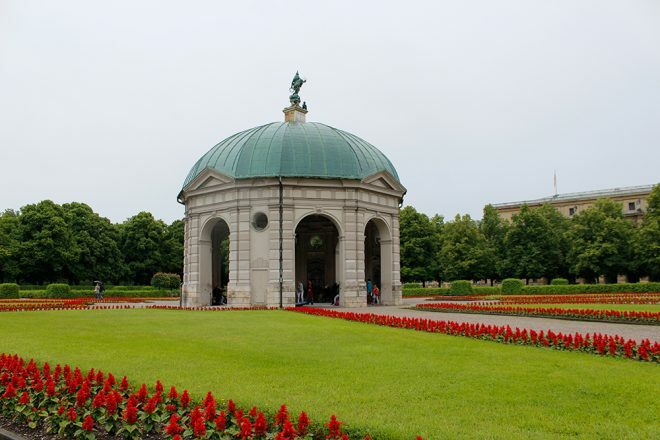 The largest park in town, and probably the most beautiful, the Englischer Garten is also a must when in Munich. 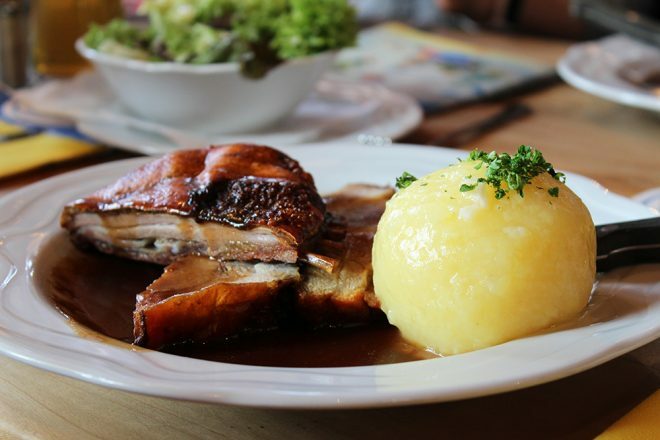 There you find biergartens and restaurants for a traditional Bavarian dish and a beer, kids playground, beautiful paths among the trees, lakes, plenty of space for playing with dogs and having a picnic, and even the famous Eisbach, where it’s possible to surf all year round! ♦ The park is huge, I recommend you to have a map/GPS that can help you get around the place, even I still get lost there sometimes. ♦ The quickest and easiest way to get to the Eisbach to check the surfers is by taking the bus 100 and getting off at Nationalmuseum/Haus der Kunst at the Prinzregentenstr., which is right in front of the action. 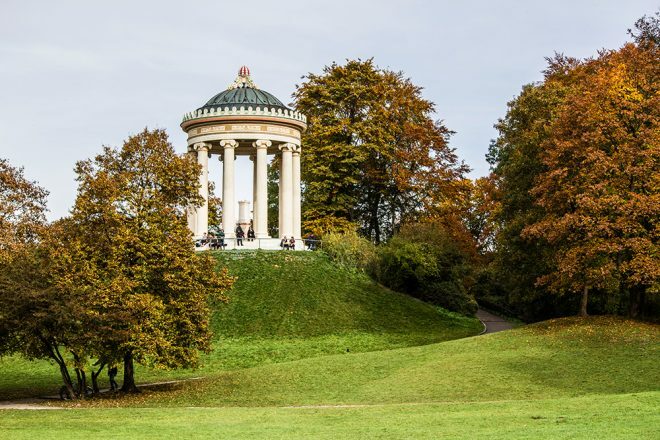 Pretty close to the Englischer Garten (in the south part) you find this incredibly romantic and charming garden, that used to be the private garden of the Bavarian Kings’ residency, the Residenz. There you find benches to sit, a biergarten, cafes, and often someone playing music. For car lovers, these attractions are impossible to miss, both are connected by a bridge. At the BMW Welt you can see a car show room, and you may enter the cars and check them out, shop at the merchandise stores, take a test drive, take a break at their café or eat at the Michelin starred restaurant EssZimmer by Käfer. The best of all? The entrance here is free. 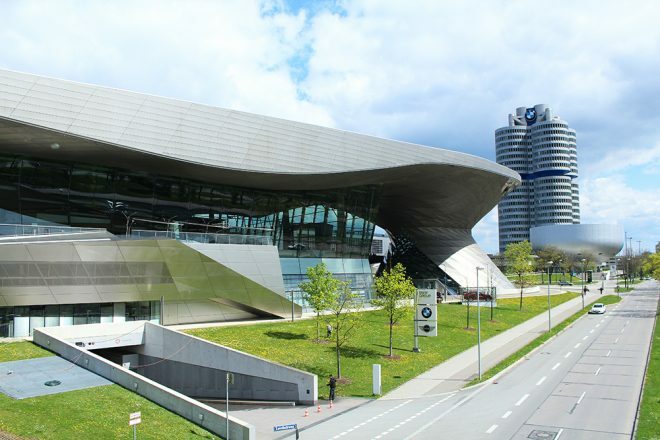 Just across a bridge, you can visit the BMW Museum, where with a ticket you can spend hours checking out the timeline of the company, from where it all began until their prototype cars. Occasionally you may also find an extra special exhibition taking place. 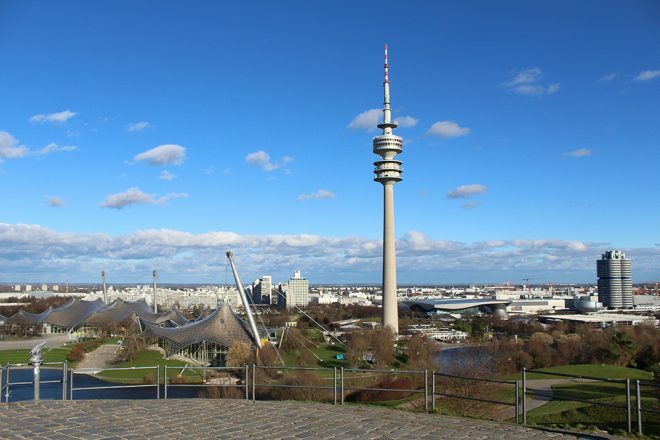 Full of attractions all year round, the Olympiapark has lots to offer and it can be easily combined with the BMW Welt and Museum, which are just across a bridge. At the park you can go up the Olympic Tower for a great view of the city and even have a fine meal at its rotating restaurant, you can also watch the sunset at the Olympiaberg (a hill right in the middle of the park) go to concerts and festivals at different times of the year, go ice skating, watch hockey games, play tennis and football and much more. 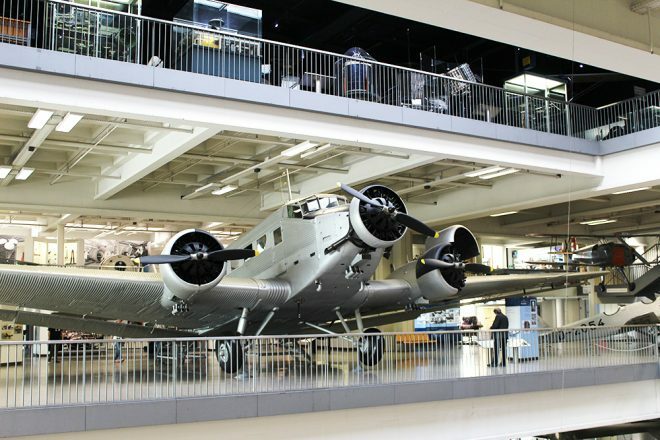 For those into technology and museums, the Deutsches Museum is a must. It is a very interesting museum filled with great collections and exhibitions for everyone, varying from natural sciences to transportation. For more information, click here. One of my favorite places in Munich, and often overlooked by tourists and locals alike. The Nymphenburg Palace was the home of the famous royal couple whose wedding originated the Oktoberfest (Ludwig von Bayern and Therese von Sachsen-Hildburghausen), as well as the birth place of king Ludwig II who built the famous Neuschwanstein Castle. 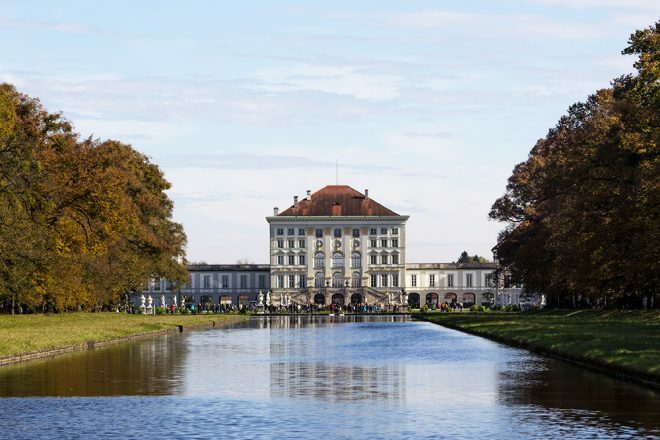 It is possible to visit a few rooms of the Palace for a fee, as well as some other parts of the property, such as the Porcelain Museum. As for the park, there is no entrance fee, and it’s open to the public, including dogs, which should be kept on the leash. It is a stunning place, completely worth the visit, and if you’ve got time, it’s possible to take a gondola ride and have a snack at the Café am Palmenhaus. Check out the Palace’s opening times here. 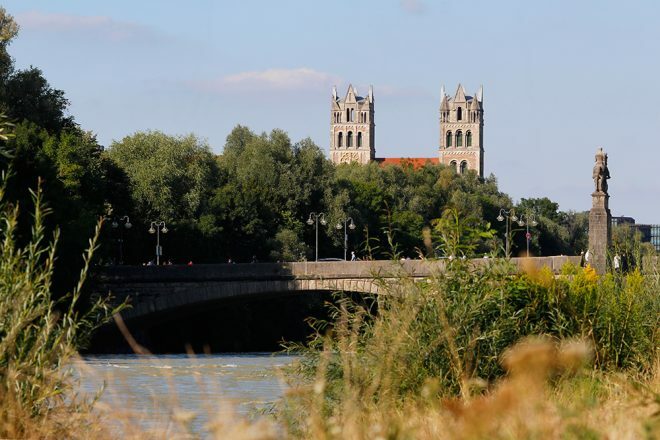 The Isar is the river that crosses the city, and a stroll alongside it will give you a different impression of Munich. During the summer is a beloved place for a barbecue, a picnic, or for simply relaxing and having a beer by the water. A great place also for sunsets and photography. 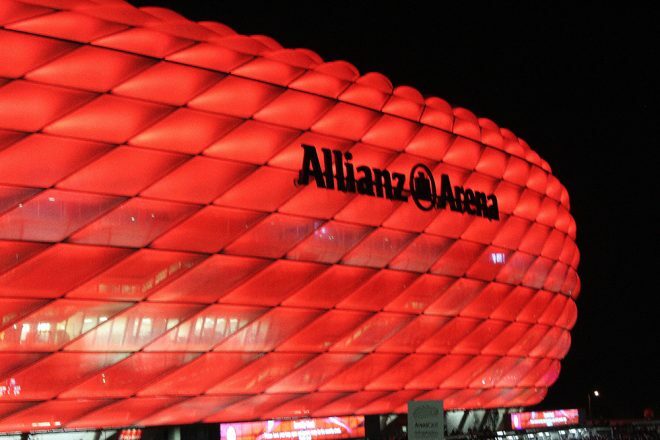 For the football fans in town, if you don’t manage to get tickets for a game, you can take a tour of the Allianz Arena and have an idea of what’s like when it’s full with people. Everyone I ever took to see the stadium loved it, even the not so football fans. Check here more information about the tour. Tip: in most games you can head to the Allianz Arena and try to get a ticket, normally there are many people selling them after you get off the subway. For Champions League games tickets are harder to get. 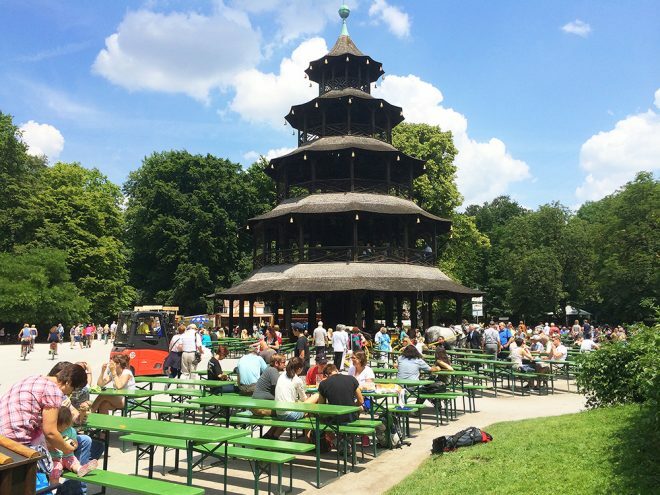 Warm days in Munich call for a Biergarten, and the city has plenty of them to keep you entertained. There, I recommend you to order the beer you like (yes, you can have beer in the same one liter Oktoberfest glasses) and a local dish accompanied by a Brezen. You’ll feel like a local! 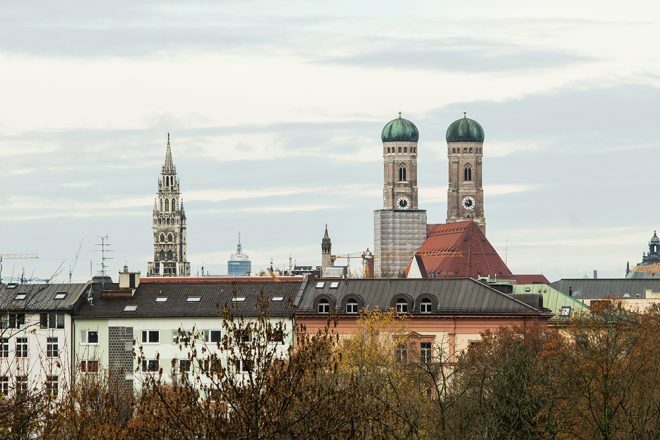 Munich offers a few places where you can appreciate it from above. 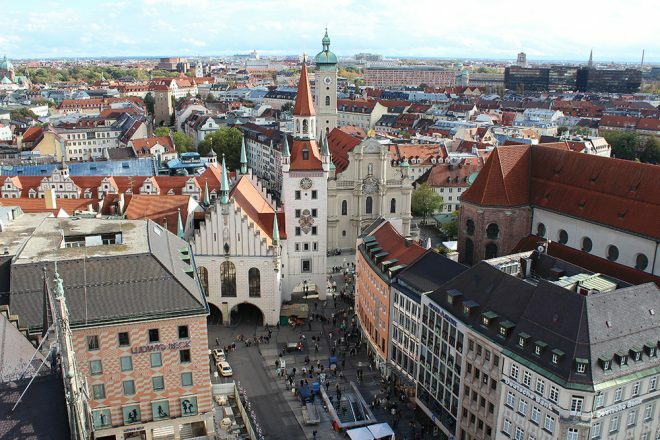 If like me, you also love seeing a city from over the rooftops, here are a few ideas to do just that in Munich: the new City Hall has an elevator that take you up to Marienplatz, you may also like to climb the narrow steps of the St. Peter’s Church right across it, go up the Olympic Tower, or maybe enjoy a drink or two in one of the famous rooftop bars in the city, like the one at the hotel Bayerischer Hof. 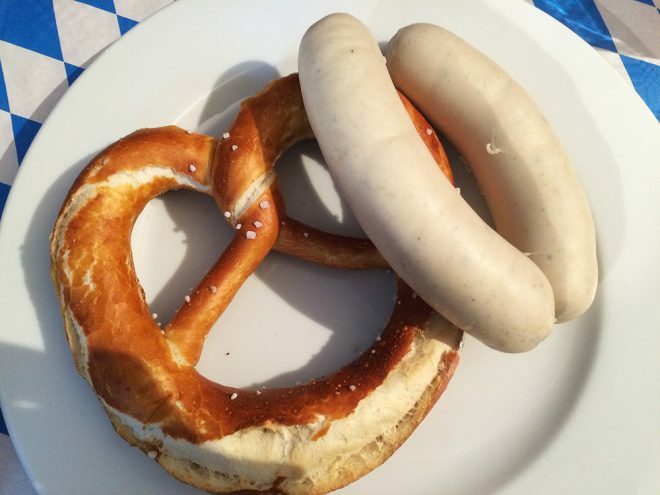 If there is something you should experience while in Munich, that is to have a traditional Bavarian breakfast, a pair of weißwurst, brezen, sweet mustard, and a weißbier. Yup, beer for breakfast! Find out more about this tradition here. It is incredibly easy to get around Munich, options vary from bus, Tram, U-Bahn (subway), S-Bahn (suburban trains) and bicycles. 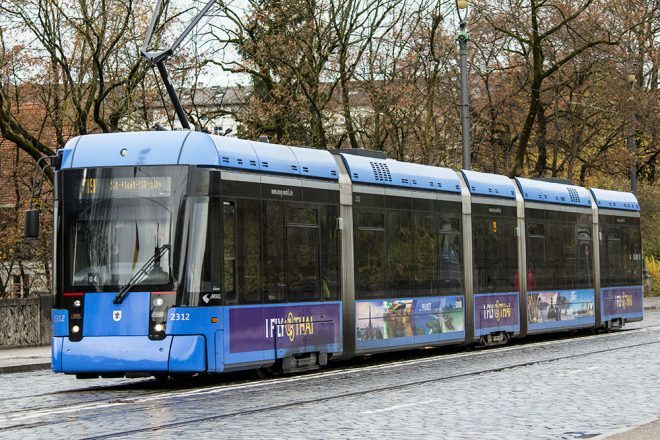 Tickets can be bought at machines located in all U-Bahn and S-Bahn stations, most Tram and bus stations, inside the Trams and buses, as well as online, on the official MVG website or app (also in English). 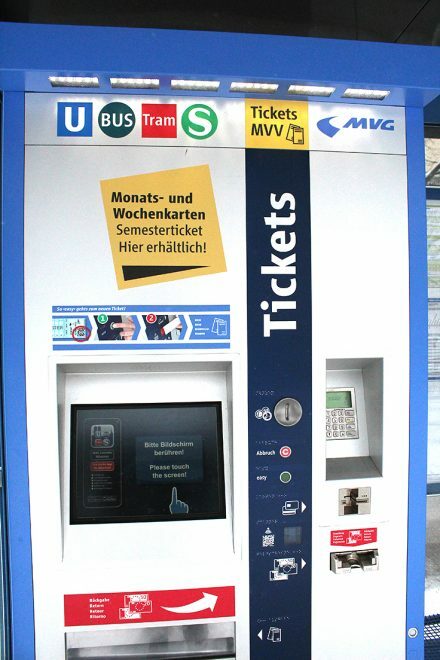 My tip is to download the MVG app, register (yes, even if you don’t live in Munich you can buy tickets using the app) and use it to plan your journeys, buy your tickets, check the timetables, keep updated on the traffic, and even get several tips for Munich, including the list of free Wi-Fi spots around the city. Single-day ticket (€6,60) valid for one person traveling in the inner area and until 6am of the following day. Single 3-day ticket (€16,50) valid for one person traveling in the inner area and until 6am of the fourth day. Group day ticket (€12,60) valid for up to 5 people traveling in the inner area and until 6am of the following day. Group 3-day ticket (€29,10) valid for up to 5 people (where 2 children between 6-14 years count as one adult) traveling in the inner area and until 6am of the fourth day. Apart from these tickets, there are also the CityTourCard, which gives you access to transportation and discounts on over 70 attractions in and around Munich, and the QueerCityPass, which is a special ticket for the LGBT-community that gives access to transportation and discounts in over 60 queer-friendly partners in and around Munich. For more options of tickets and further questions, check the MVG official website. There are several souvenir stands along the Neuhauser./Kaufingerstr., some at the Sendlingertor and Viktualienmarket, and it is also possible to find many items at the department store Galeria Kaufhof. During all these holidays (except for the Saturday during the Easter Break, and December 24th) all stores are closed. In some of them, even museums are also found closed, so my advice is to check on the attraction official website their opening times during these holidays. Sundays: stores are closed on Sundays, however, bakeries open until 1pm, gas stations and their convenience stores remain open, restaurants, museums, and it’s possible to find supermarkets still open at the airport and at the hauptbahnhof. Mondays: some attractions and restaurants might close on Mondays, check in advance if where you’re planning to go will be open. Known as Fasching, even though it’s not a public holiday, Munich’s carnival is celebrated on the city’s streets on a Monday (Rosenmontag), when people dress up in costumes and dance. Each year, the month of March is marked by the Starkbierfest, or Strong Beer Festival, located at the city’s breweries at Nockerberg in the Au neighborhood of the city. Breweries celebrate the occasion with music, regional food, and of course, beer! Check out this year’s dates. Located on the same place where the Oktoberfest happens, the Munich’s Frühlingsfest (Spring Festival) is incredibly fun for adults and kids. It is a much smaller event than the Oktoberbest, but it’s enough to give you the taste of the famous event. Check out this year’s dates. This famous summer festival happens each year at the Olympic Park. 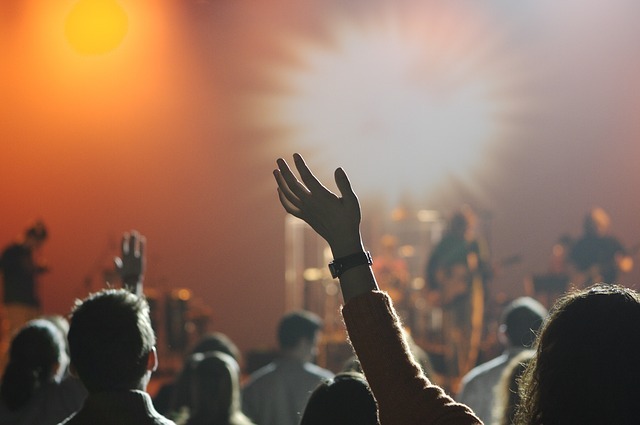 With famous bands, fireworks, handcrafts, stalls with local and international food and fair trade products, Tollwood is a fun event for those living and visiting the city. Check out this year’s dates and opening times. Once Tollwood is over, there is still some time to enjoy the rest of the summer at the Olympic Park with the impark Sommerfestival. 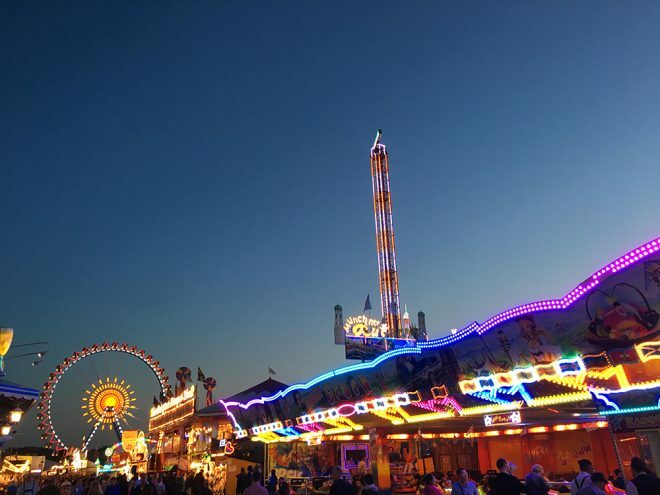 With Ferris wheels and other rides, games, food stalls, water activities, and famous bands, it’s one of the coolest festivals in Munich throughout the year. The most famous and largest event happening in Munich, the Oktoberfest attracts people from all over the world, and transforms the city. On contrary to what many think, the event does not happen throughout the month of October only, it begins on the 3rd weekend of September and ends on the first weekend of October. Stay tuned not to miss this year’s dates. The most beautiful time of the year in town, when in every corner you find a small or a big Christmas Market, locally called Christkindlmarkt/Weihnachtsmarkt. There are around 19 of them spread out in every region of the city, each with a different theme, events and opening times. 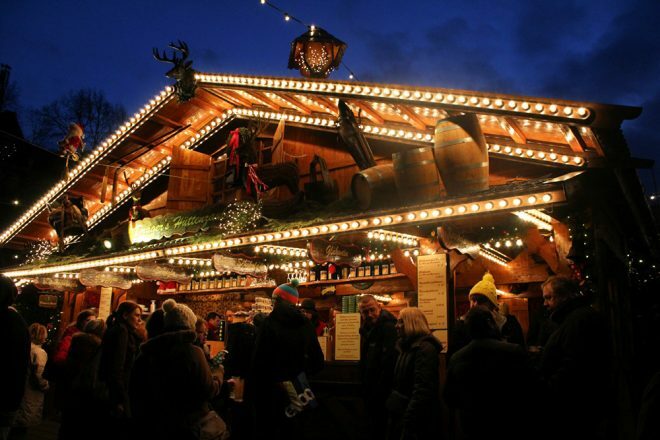 Find out more about the Christmas Markets in Munich. If you’re arriving by train, the Hauptbahnhof will be your last stop. From there is pretty easy to get around the city, as connections to the city bus, trams, S-Bahn and U-Bahn are very good, and there are plenty of taxis nearby. Look for the city’s map, head to the information point or if you already know where to go, find the closest machine to get a ticket to the public transportation. For more information, visit the Hauptbahnhof official website. In case you’re arriving by bus, your last stop will be at the Central Bus Station, ZOB (Zentraler Omnibusbahnhof München), which is not far from the Hauptbahnhof. From there it is also easy to get around the city, where you have good connections with the trams, city buses, and S-bahn. There is a paid parking lot, as well as stores and restaurants, where is possible to find machines to get a ticket for the local public transportation. For more information, check the ZOB official website. It won’t be the cheapest, it will cost around 60 Euros with no traffic. A comfortable and practical option, with the best price. On board you have free Wi-Fi, plenty of space for your luggage, the drivers are very helpful and friendly, they are never full, departures are every 15 minutes, they are very on time, it only takes around 45 minutes to the Hauptbahnhof and 25 minutes to Schwabing. The price for an adult bought online is €10.50 and directly from the driver €11. Stops you find at Terminal 1 (area A and D), Terminal 2, and Munich Airport Center (MAC). For schedule and more information click here. You will find the S-Bahn station between Terminal 1 and 2, simply follow the signs of the white S with a green background. Tickets can be bought at the machines just in front of the arrivals of Terminal 2 or right next to the trains. Every 10 minutes, a train (S1 or S8, both stop at Hauptbahnhof) leaves to the center city, the journey takes about 47 minutes and a single adult ticket costs around €11.20. I know, the price isn’t so attractive. However, I always recommend to buy the Airport-Day-Ticket, which allows you to get from the airport to the city, plus access to the city public transportation until 6am of the following day. Car sharing has been one of the best things invented in the past years. 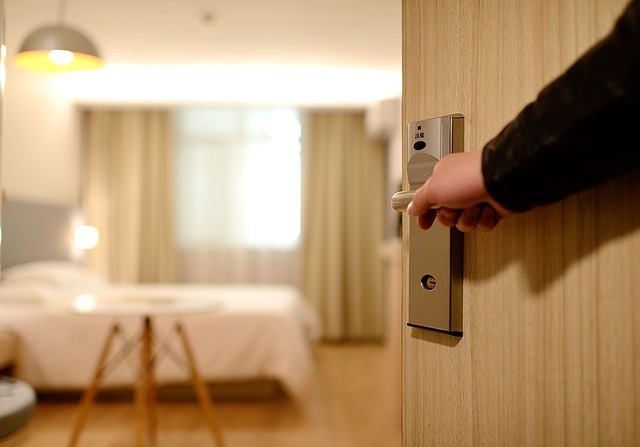 It is a practical and comfortable way to get you from the airport to your accommodation’s door. If you are already registered with a car sharing company, you can take advantage of this practicality at Munich’s airport. A down point of this option is the airport fee you normally need to pay (around 20 Euros depending on the company) and that sometimes depending on the day and time of your arrival, you might not find any vehicle available. Want to ditch all the stress? Are arriving in a peculiar time of the day? In a hurry? Private transfer is always an option to consider. 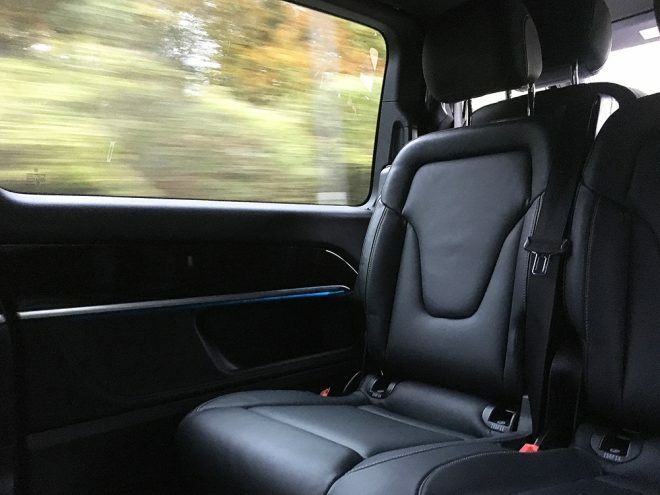 I have previously used and highly recommend Blacklane, a German company that offers private transfers to and from airports in over 200 cities around the world, and that allows you to book a ride from their website and app. Everything works quickly, easily and comfortably. »The comfort to get from door to door stress free! Check out their fares and locations, and find out how it works here. Munich’s airport is well connected with regional buses, as well as intercity buses (surrounding cities of Munich). If you don’t have a private transfer, you can always book a regional bus in advance to take you to your final destination. The most popular bus company is Flix Bus. Anything else to be added to the guide? Recommendations are always welcome. The information on this post will constantly be updated. This is so comprehensive! I definitely want to do more eating and day-tripping next time I’m in Munich. Thank you dear 🙂 hahaha you are most welcome!! Come back!! In the summer is always very crowded, but always worth it!